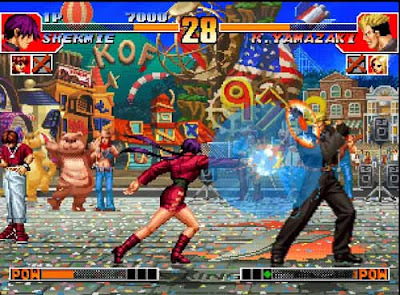 The King Of Fighters 97 in shorts kof 97 is available to play in Android as apk and in Computer with NeorageX Emulator Software for free with easy instruction. 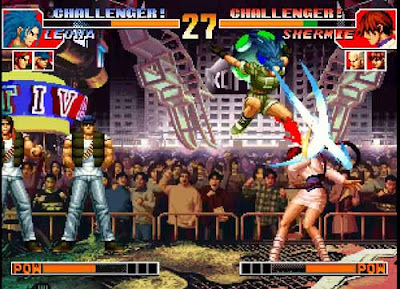 The King Of Fighters 97 in shorts kof 97 is available to play in Android as mod apk and in Computer/ PC with NeorageX Emulator Software for free with easy instruction. The best game since 1997, still the best game ever I played in my Computer/ PC and Android ever. Now I am sharing the mod apk where you will find the Unlimited time, Infinite life, Boss Orochi unlocked and much more. And for Computer, you will find 3 version of this game which I will discuss in this post. This is a multiplayer game which you could play with your friend as a Competitor. But for Android, there is no option to play with a friend. If you use 2 Game Console that would be better to play with a friend using Superpowers. This game quite looks like Art Of Fighting 2, Because both of them are action games. Only the sound and fighting movement are different. There are 29 players to select in the normal version. 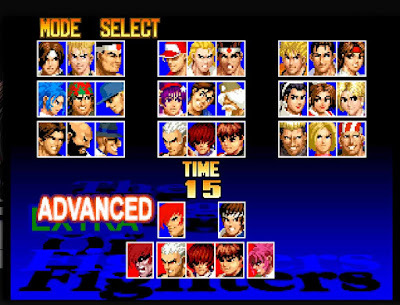 But in the mod version, You can select a total of 35 players including the last boss Orochi. The boss is on the right side or Iroi. See the pictures of the mod version of kof 97. This game is available to play in Computer or PC and Android. I am giving you the 100% working method to play. And for Android, I am giving you the mod apk version where you could use many important things which will be listed below. 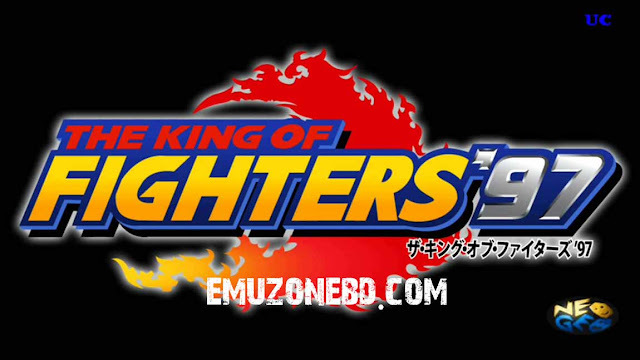 Then download ( Optional, If you like mod version then you may download this The King Of Fighters 97 Plus ) kof97-5a.zip ( This is the mod version where You are able to select Boss but the boss is hidden the right side of Iori ). 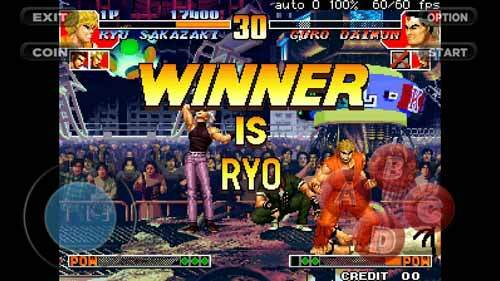 Then download the ROM file of kof 97 27 MB. NOTE: Download the file I mentioned for Computer because it works the same file for the computer I shared. And also free download neogeo.zip 132 KB, NOTE: This is the same file I shared for Computer, If you have to download it for your PC you can reuse it. We have to only enter The Cheat Database, Use A for OK / Enter the cheat Database. Use A to mark the Cheat ( If you mark any cheat it will show as a cross ). You can use the B button to reset the cheat, After selecting the cheat Press C to Exit the cheat Database, Now are enjoying the game with boss unlocked in your Android with the cheat and Infinite everything. For this method, you didn't have to do anything much more. Though it is a paid version, You can download it from Google Play Store. It cost some money but you may support the developer. In this apk version, you can use the following cheat to unlock boss and another thing I mentioned in instruction 1. Or Download from the Google Play Store link from below.